The Associated General Contractors of Greater Milwaukee (AGC) is the leading driver of construction workforce development in Southeastern Wisconsin. Our vision is to develop workforce solutions that attract and train the most capable and productive individuals to join the commercial construction industry in our area. AGC built a workforce development platform that connects to job seekers through planning and collaborating with AGC Members, industry partners and local workforce development agencies. Be it at the trades level or management level, AGC has answers to your workforce needs. WRTP/BIG STEP is a nonprofit workforce intermediary whose mission is to enhance the ability of public and private sector organizations to recruit, develop, and retain a more diverse, qualified workforce in construction, manufacturing and emerging sectors of the regional economy. The Department of Civil, Construction and Environmental Engineering offers two degree programs giving the student an opportunity to earn a Bachelor of Science degree in Civil Engineering and in Construction Engineering. The undergraduate degree program in civil engineering allows students to declare and earn a major in environmental engineering or civil engineering. The AGC of Greater Milwaukee Education & Research Foundation provides a solid base of educational and research programs that allow deserving Marquette students the chance to pursue their dreams of a career in construction. 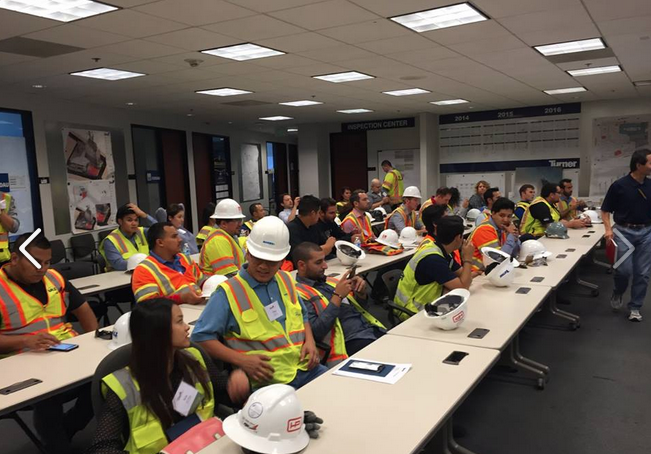 The AGC is proud to work with Marquette University and their AGC Student Chapter develop our next generation of construction leaders. The Foundation’s scholarships for Marquette University include: Marquette University Robert Caspari Scholarship, Marquette University Skill, Integrity, Responsibility Scholarship. MSOE Provides a Construction Management degree for students who wish to become nonresidential building construction project professionals. The rigorous program melds instruction about business administration, basic scientific and engineering principles, and construction science, building information modeling (BIM), and project management techniques to graduate professionals who are savvy about current industry practices and educated for a lifetime of learning in this challenging and rewarding career. The AGC is proud to work with MSOE and their AGC Student Chapter develop our next generation of construction leaders. The AGC of Greater Milwaukee Education & Research Foundation provides MSOE with the MSOE AGC Scholarship to help give deserving MSOE students the chance to pursue their dreams of a career in construction. The AGC is proud to work with University of Wisconsin – Milwaukee and their AGC Student Chapter develop our next generation of construction leaders. University of Wisconsin – Milwaukee’s Civil Engineering program gives their students the tools to be successful in a number of different career paths while giving them hands on projects that will help them develop safe, efficient and sustainable ways to continually improve our infrastructure. The AGC of Greater Milwaukee Education & Research Foundation provides UWM with the UW-Milwaukee Skill, Integrity, Responsibility Scholarship to help give deserving UWM students the chance to pursue their dreams of a career in construction. The AGC of Greater Milwaukee offers a wide variety of education programs to members and non-members. We remain committed to bringing nationally developed programs to Wisconsin to meet the changing needs of the construction industry.